Mary O'Brien illustrates that steady, moderate- to high-volume alcohol consumption can affect your memory. But why some people are more vulnerable than others remains a bit of a mystery. Genetic factors can play an important role; people from a few Native American tribes are so genetically sensitive to alcohol that they can lose control and become violent after only one or two drinks. Clearly, psychological and social influences are also important. More puzzling is alcohol's range of effects within the brain. Some people blithely consume vast quantities with no problems at all, some develop memory loss, others develop tremor and poor coordination because of damage to the cerebellum—a walnut-shaped structure in the lower, back part of the brain—and still others experience hallucinations. Research has taught us a great deal about the complex actions of alcohol at the molecular level, but we still don't know why such vastly different clinical disorders occur when people abuse the same substance in a similar fashion. Tolerance means taking larger and larger amounts to produce the same pleasurable effects. Mary O'Brien was tolerant to the effects of four shots of whiskey every evening. However, this amount hadn't changed for decades, and she wasn't trying to increase her intake to get the same effect. Alcohol withdrawal causes severe tremor, anxiety, sleeplessness, and occasionally hallucinations, together with severe craving for alcohol. 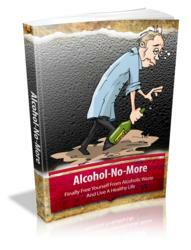 Many alcoholics are terrified of reexperiencing these withdrawal symptoms and try to avoid them by never staying sober. Alcohol withdrawal symptoms require aggressive treatment, including hospitalization. 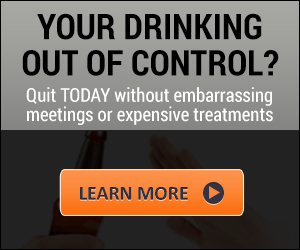 Over the long term, many people benefit by joining Alcoholics Anonymous.